With only a perfunctory knowledge of Glaser's work, which I had previously dismissed as cartoony and kitsch, I had never considered myself a fan, but Wendy Keys’ admiring and intimate new documentary Milton Glaser: To Inform and Delight (which opened in New York last week) gave me a new appreciation for the man and his work. A true mensch, committed to social causes and left-wing politics (he does pro-bono work for The Nation and recently designed a campaign to increase awareness of the genocide in Darfur), Glaser's work, that of both a humorist and a humanist, is bold, witty, evocative and always memorable. 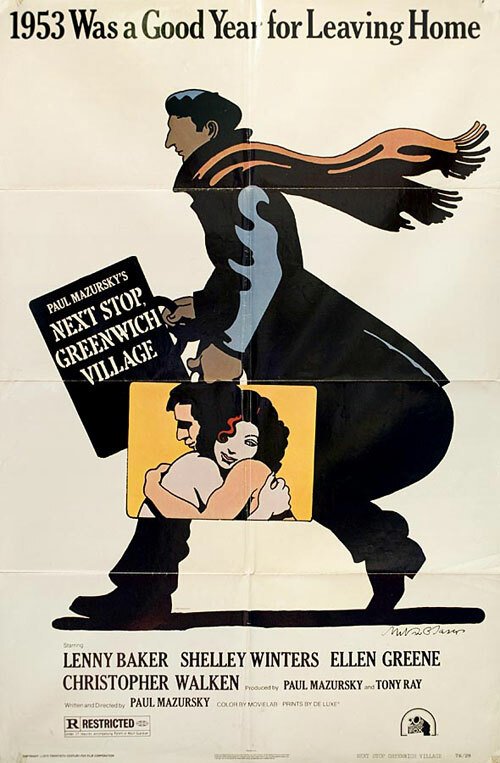 When he and Seymour Chwast founded Push Pin Studios early in his career, he declared their love of ornament, humor and narrative to be “everything the modernists told us to hate.” And in the film he refers to his work as “anti-Swiss.” But though his Next Stop Greenwich Village poster is very much of its era, compared to Birney Lettick’s Rockwell-esque design for the same film (see below), Glaser's is the picture of elegant simplicity. Shame they didn’t use either of those for the DVD cover, which is extremely dull. One of the very few posters (or films!) which depicted a black character (Bernstein, played by Antonio Fargas, sitting atop steps) — and in an arch pose like the proud queen he was. Still nailed shut in the closet when this film came out, I remember watching it in exhilaration and fear — exhilarated because the character captured the me-nobody-knew, yet fearful lest one of my own circle of bohemian friends in L.A. recognize in him not only me, but the mask I wore and the wretched role I played in similar social contexts. When a poster can evoke such a flood of memories, it’s done its job. This was probably the only film in which Lenny Baker got to start to show his stuff…nice to see the poster captures some of his incandescent character. Beautiful piece on Lenny Baker, David. 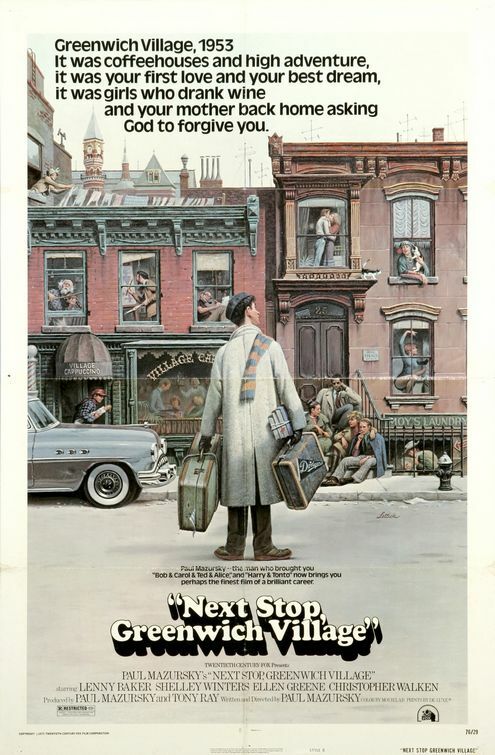 When I first saw the film, in the ’90s, pre-Google and imdb, I remember thinking “whatever happened to that guy?” Makes me regret that he is virtually faceless in both posters. Lenny Baker was fantastic in this, and it’s too bad he didn’t become the huge film star that he deserved to become. Thanks for the link to your article David. I actually had no idea that Lenny’s cancer was AIDS-related. This was in the very ealry years of the epidemic, when obits had to be read with considerable care. On top of that he wasn’t out. I just discovered this Glaser poster for ZABRISKIE POINT which never popped up when I was searching for Glaser’s movie posters back in 2009. If anybody knows anything about this poster and where it was used I’d love to hear about it.